Listed below are the names of Ghanaian ministers under the cabinet of H.E President of Ghana Nana Addo Dankwa. In charge of forming of policies that provide principles that control the internal and external trade of Ghana. Assisted by his deputies Carlos Kingsley and Robert Lindsey. In charge of energy production in Ghana. Helps in formulation of governmental policies that guide the energy sector in Ghana. Assisted by deputy Owuraka Aidoo. In charge of ensuring peace and security is attained in the country. Providing security responses in the country and neutralizing various threats to security. Head of all educational services in Ghana. Helps in formulation of policies that improve the status of education in the country. In charge of maintaining food security in the country. Introduces new farming techniques to farmers to increase food production in Ghana. In charge of all sports activities in Ghana. Organizes sporting events in the country to bring youth across the country together. In charge of sustainable management of land resources such as natural phenomena and wildlife. Controls activities that are involved in extraction of the resources. Regulates all communication institutions in Ghana like telecommunication, broadcasting and print media. Head of all diplomatic duties and serves the interest and complains of Ghanaian citizens living in foreign countries. Controls of all the development projects in Ghana that have been undertaken by the national development. Head of all systematic planning activities that ensure sustainable development with regard to the environment. In charge of maintenance of infrastructural projects and oversight of all transport means in Ghana. Also form transport rules and regulations to ensure safety on roads. Head of communicating government policies and programs to Ghanaian citizens. They educate citizens on new policies issued by the Government. In charge of maintain and improving the health sector in Ghana. Takes care of the social welfare of health workers in the country. Head of preparing the budget for every fiscal year. Calculates the total amount the government made in a year. Allocates financial resources to various departments. In charge of bridging unemployment disparities and policy formulation of social welfare systems of Ghanaians. Creation of job opportunities for the unemployed citizens. Formation of business strategies and turning startups into successful business ventures with relation to business growth in Ghana. Ibrahim Awal, minister of business development. Administering licenses to all aviation schools and businesses. Regulating laws concerning aviation rules. Creation of awareness of fisheries and aquaculture as a business venture and a tool in helping increase food security in Ghana. Head of all scientific researches in Ghana in the field of technology with aim to conserve the environment through sustainable development. Provision of water and sanitation services in Ghana. Protects all available water resources and ecosystems from human sabotage. In charge of all development and maintenance of railway systems in Ghana. Repairing of ruined railway systems. In charge of oversight of all major governmental projects carried by different ministries in Ghana to ensure that they are completed on time. Fostering the relationship between the local government and traditional authorities in Ghana to ensure they both work together. 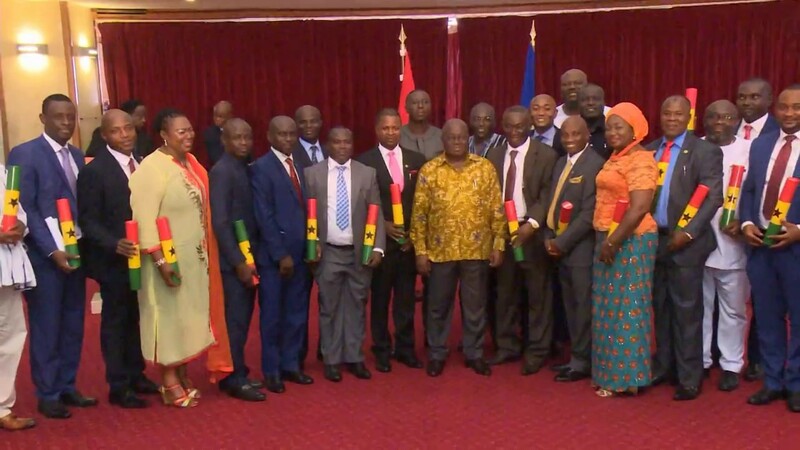 Oversight of development programs in the country with regards to increasing the development of Ghana in special fields. In charge of handling of day-to-day functions of the parliament and fostering the relationship between the two houses of Parliament in order to act together to improve service delivery to all Ghanaians. In charge of oversight and co-ordination of other ministries in delivering efficient services to all Ghanaian citizens. In charge of all social injustices committed against any Ghanaian citizens that’s violates their rights. Also crimes against a specific gender. Formulation of policies that market arts, culture and tourism industry. Creating incentives to increase the tourism industry.